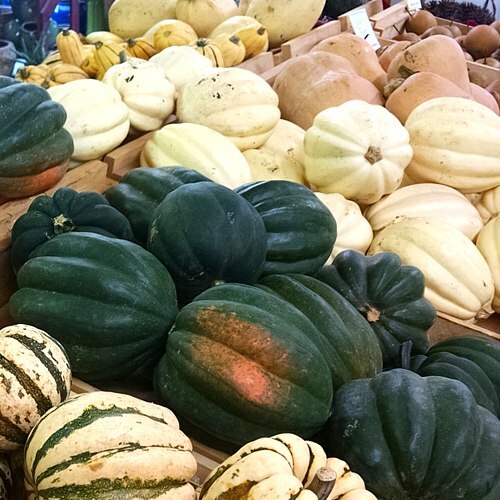 Our farmstand offers the harvested vegetables, greens and berries that we grow, plus products from local artisans, farms and businesses. We are open mid-April through early-December. 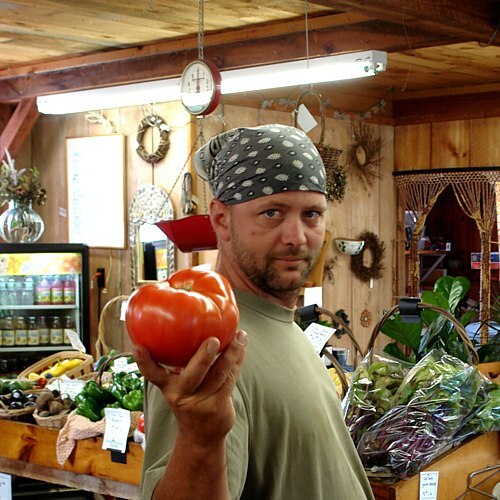 Inside the Hemingway Farms store, you will find our harvest offerings for all the vegetables, greens and berries that we grow. We also sell quality fruit from area orchards, as well as, regional milk (McNamara Dairy) and cheeses (West River Creamery, Grafton Village, Maplebrook Mozzarella, Shailey Hill Farm). We sell the best pesto you will eat from Vegetaball’s Pesto in Claremont. 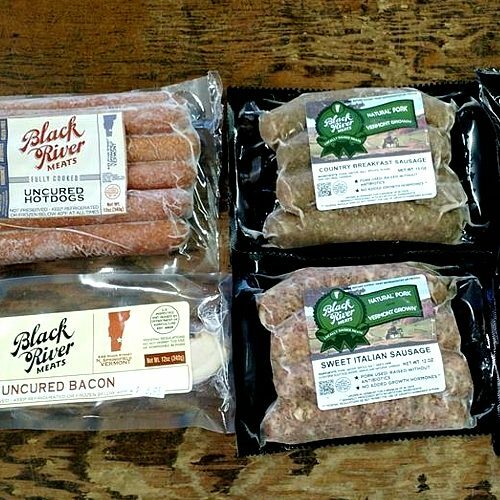 Regional bakeries (Orchard Hill Breadworks, Grandma Miller’s Pies and Pastries) supply us with delectable snacks, breads and pies. Our sun room area contains houseplants, succulents and interior garden plants. 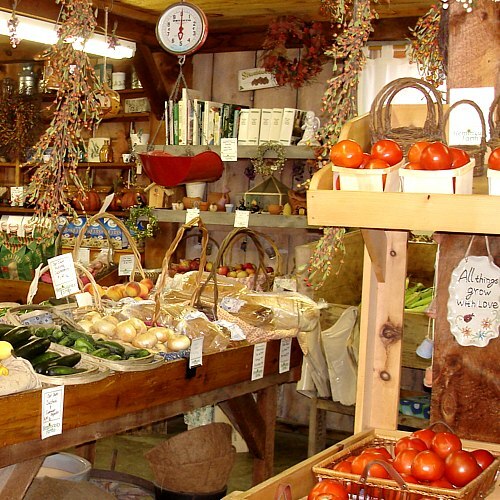 Throughout the farm stand you will find colorful pottery, planters, tins and bird baths. 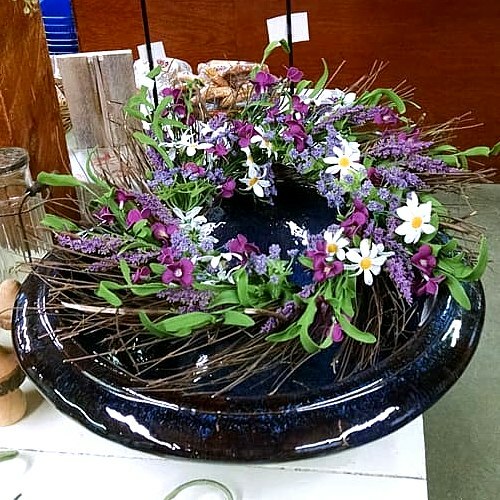 We are proud to carry selections from local artisans including functional and creative stoneware by Marthe Dyner and exquisite ceramic tile mirrors and garden stakes by Cindy Ehlenfeldt. After Thanksgiving our farm stand is decorated with fresh balsam wreaths, kissing balls and colorful poinsettias. 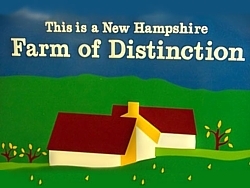 Outside the farm stand we have an outstanding selection of NH-grown Fraser fir Christmas trees. 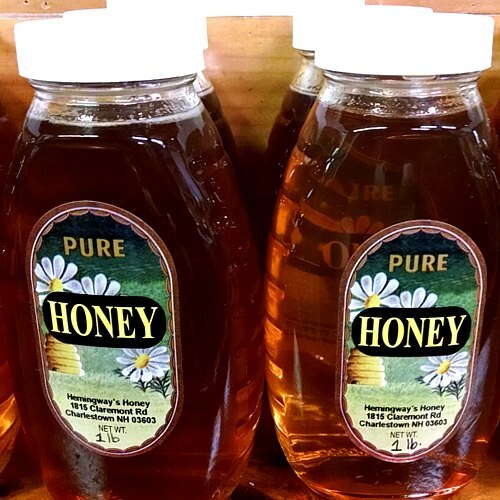 Our own honey is available throughout the year as we maintain 20+ hives on our farm. Maple syrup from Taylor Brothers and Mac’s Maple is always popular. 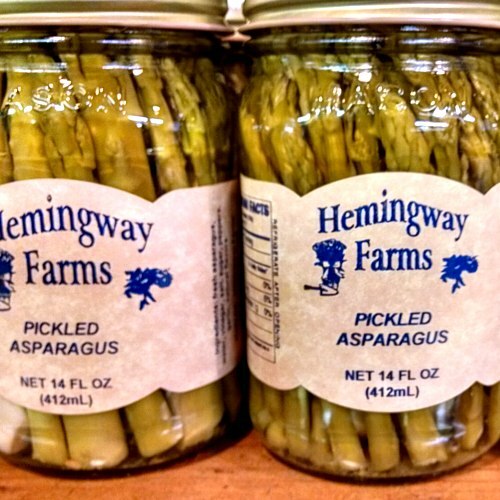 Pickled asparagus, dilly beans and jams are available throughout the year. “I stopped by for the first time for a gift for my mom for mothers day/birthday. I was very impressed with the flowers and bushes on display. I was quite surprised when I walked inside and saw the variety of products in the store. 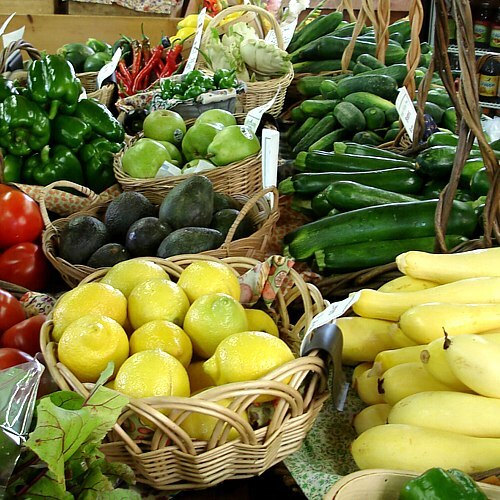 We will definitely be coming back through the summer to check out the produce.” -Heather S.